Teeth have been grown from stem cell “seeds” and planted in the mouths of mice, scientists from Tokyo University reported in Proceedings of the National Academy of Sciences. They hope it could lead to replacing teeth in humans, or even to rebuilding whole organs. Nova Southeastern University’s dental researchers at the College of Dental Medicine are growing and harvesting human dental stem cells in the laboratory.A 2009 NSU survey of dentists around the nation revealed that more than half thought that they would be using stem cell and tissue engineering therapies on their patients within the next decade. Scientists have created part of the jaw joint in the lab using human adult stem cells. Australian scientists have shown for the first time in mice that nasal stem cells injected into the inner ear have the potential to reverse or restore hearing during early onset sensorineural hearing loss. Sensorineural hearing loss occurs when hearing cells in the cochlea lose their function. Frequently inherited, and usually starting during infancy and early childhood, the condition can slow a child’s development and lead to speech and language problems. Drs Jeremy Sullivan, Sonali Pandit and Sharon Oleskevich from Sydney’s Garvan Institute of Medical Research, found that stem cells appear to release ‘factors’, or chemical substances, that help preserve the function of cochlear hearing cells, without the stem cells becoming part of the tissue of the inner ear. Their findings are published in STEM CELLS, now online. “We are exploring the potential of stem cells to prevent or restore hearing loss in people,” said project leader Dr Sharon Oleskevich. Adult human nasal stem cells were used in the procedure, because they are plentiful, easy to obtain and unspecialised (so have the ability to self-renew for long periods, as well as differentiate into cells with a variety of functions). The same group of scientists has shown in previous publications that stem cells can also be used to improve hearing in noise-induced hearing loss – a condition that affects both young and older people. It has taken 5 years to reach the current stage of research, and scientists anticipate that it will take a further decade at least for the findings to benefit people. How nasal stem cells might prevent childhood deafness – insciences. Korean scientists have found that transplanting human umbilical cord blood-derived endothelial progenitor cells (EPCs) ‘significantly accelerate’ wound closure in diabetic mouse models. Diabetes is often associated with impaired wound healing, according to study’s corresponding author, Wonhee Suh of the CHA University Stem Cell Institute. “EPCs are involved in revascularization of injured tissue and tissue repair,” said Suh. “Wounds associated with diabetes that resist healing are also associated with decreased peripheral blood flow and often resist current therapies. “Normal wounds, without underlying pathological defects heal readily, but the healing deficiency of diabetic wounds can be attributed to a number of factors, including decreased production of growth factors and reduced revascularization,” he said. For the study, the researchers transplanted EPCs into an experimental group of mice modeled with diabetes-associated wounds, but did not transplant EPCs into a control group. They found that the EPCs “prompted wound healing and increased neovascularization” in the experimental group. “The transplantation of EPCs derived from human umbilical blood cells accelerated wound closure in diabetic mice from the earliest point,” said Suh. The researchers found that growth factors and cytokines (small proteins secreted by specific cells of the immune system) were “massively produced” at the wounded skin sites and contributed to the healing process. 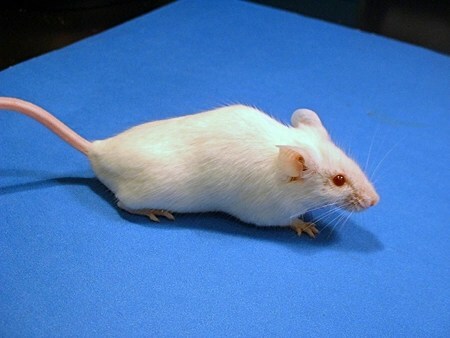 “Scientists have created a ‘Mighty Mouse’ with muscles that stay powerful as it grows old,” the Daily Mail has reported. The newspaper said the ‘breakthrough’ paves the way for a “pill to give pensioners the strength of their youth, cutting the risks of falls and fractures in old age”. The story comes from research on mice that found that transplanting donor muscle stem cells into injured leg muscles led to a 50% increase in muscle mass and a 170% increase in muscle size. The improvements were maintained though the lifetime of the mouse. Researchers at the Ansary Stem Cell Institute and the Department of Psychiatry at Weill Cornell Medical College discovered that mice missing a single gene developed repetitive obsessive-compulsive-like behaviors. 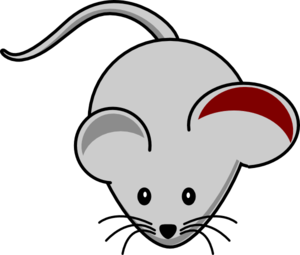 The genetically altered mice, which behaved much like people with a certain type of obsessive-compulsive disorder (OCD), could help scientists design new therapies for this debilitating condition. The researchers made this serendipitous discovery while looking at the role of a gene, called Slitrk5, which they had earlier linked to blood stem cells and vascular cells. In the April 25 online edition of Nature Medicine they report how, in follow-up studies, mice in which the gene was disabled (“knocked-out”) demonstrated obsessive self-grooming and extreme anxiety. Further study showed that the frontal lobe-to-striatum circuitry of the brains of these mice were altered in the same ways that are implicated in OCD in humans. This discovery links Slitrk5 to development of OCD-like behaviors, and offers scientists a new mouse model of the disorder, say the study’s senior co-investigators, Dr. Shahin Rafii and Dr. Francis S.Y. Lee. Dr. Rafii is director of the Ansary Stem Cell Institute and professor in genetic medicine Weill Cornell Medical College and and an HHMI investigator. 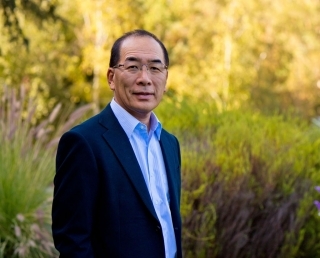 Dr. Lee is associate professor of psychiatry and pharmacology at the Medical College. via Researchers find that single gene responsible for OCD-like behaviors in mice. …and the US is just barely putting a toe in the water with mouse studies? It’s time to CATCH UP! ScienceDaily (Oct. 28, 2009) — Researchers at the University of Illinois at Chicago College of Medicine have shown that adult stem cells from bone marrow can prevent acute lung injury in a mouse model of the disease. Their results are reported online in the October issue of the journal Stem Cells. via Stem Cell Therapy May Offer Hope For Acute Lung Injury.